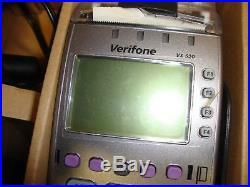 NEW Verifone Vx520 160Mb Wireless GPRS Terminal/Printer/PIN Pad/SCR/Contactless. 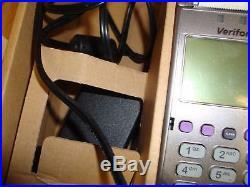 NO TWO PIN WIRE PLUG. 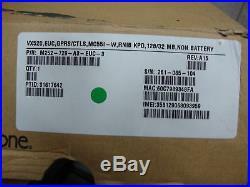 PACKAGE/BOX MAY HAVE BEEN OPENED/SEAL BROKEN SO YOU MAY SEE PART NUMBER AND ITEM IN IMAGES. 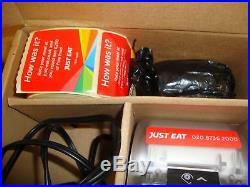 PLEASE NOTE ITEM IS NEW BOXED. WHAT YOU SEE IS WHAT YOU GET IN THE IMAGES? PLEASE NOTE:I USE STICKY LABELS ON MY ITEMS SO I APOLOGISE IF ITEM IS SLIGHTLY STICKY EASILY CLEANED. I WILL MATCH ANY PRICE IF POSSIBLE. PLEASE NOTE: ITEM IS IN GOOD CONDITION. THE ITEM WILL HAVE SLIGHT MARKS & DUST DUE TO BEING KEPT IN STORAGE. OTHER THAN THAT, THE ITEM IS IN GREAT WORKING ORDER. ALSO THE BOX IS MARKED & DIRTY. ANY QUESTIONS PLEASE DO DROP ME A MESSAGE. (Excludes Northern Ireland and Scottish Highlands and Islands postcodes - PA20-49, PA60-78, PH17-26, PH30-44, ZE, IV, HS, KA27-28, KW) Does not include any off-shore UK Islands. Free UK 1st class standard post. Orders received Monday to Friday before 2.00pm will usually be dispatched same day. Large items will be sent via a courier service. Listing and template services provided by inkFrog. 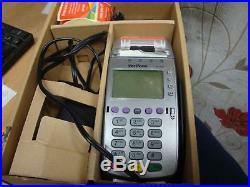 The item "NEW Verifone 160Mb Wireless GPRS Terminal/Printer/PIN Pad/SCR/Contactless LOL6" is in sale since Saturday, July 14, 2018. 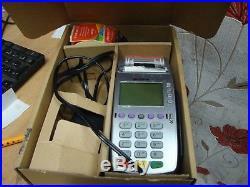 This item is in the category "Business, Office & Industrial\Retail & Shop Fitting\Point of Sale (POS) Equipment\Credit Card Terminals". 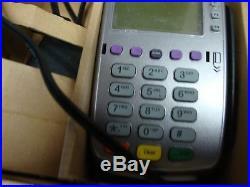 The seller is "hamptonplatingltd" and is located in birmingham. This item can be shipped worldwide.